Jessica Charnock is a stylish, beautiful woman – a former model – whose creativity is prolific. She and her husband Jean live in the hills overlooking a sprawling lake east of Toronto. “Made in Canada” is alive and well at their home – a house they created by joining two log cabins together. Gardens – bearing an abundance of fruit, vegetables and herbs — grow well here, as do evergreen, oak and birch trees. I love visiting with Jessica and Jean. They’re gracious hosts whose welcoming home embraces me with warmth. Visiting with them also gives me a chance to practice a few words of French – a language I once worked in, though now my skills are rusty. A walk through their home reveals a large number of Jessica’s or her husband’s creations. Upstairs, Jean’s studio is filled with intricate wooden birdhouses, benches, and an assortment of other wood furniture, all handmade by Jean. A person could get lost exploring Jean’s creations. Downstairs, one sees the results of Jessica’s own creativity. I always walk into her domain eagerly, wanting to see what new thing she’s created. A grand armoire that she made by hand decades ago stands in one corner of a room, its pine exterior mellowing with age. 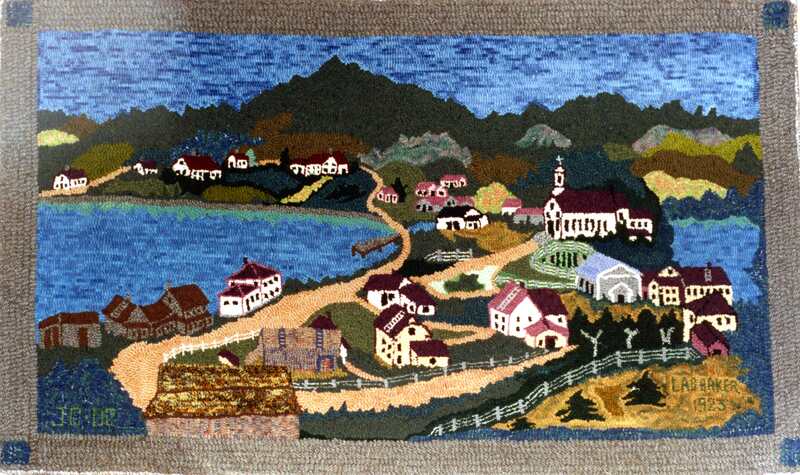 On some walls, beautiful hooked rugs hang, “paintings” made from wool. In this homestead, almost everything is made by hand (there’s even a clay bread oven outside). Materials are recycled. Jean’s birdhouses are made of wood pieces left over from other woodworking projects. And Jessica makes bears out of once glamorous fur coats. Yes, bears. 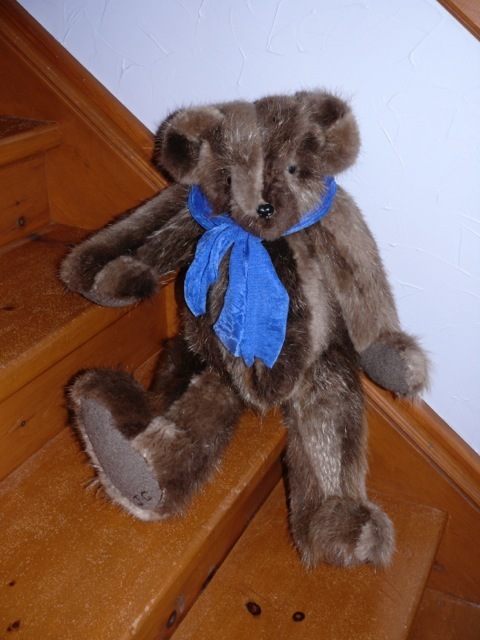 She has cleverly recycled and re-purposed her old fur and “faux fur” coats – and turned them into bears. She’s quick to point out that these large stuffed animals are not the usual “Teddy Bears” designed for children to play with (although children will find them irresistibly cuddly, I’m sure). 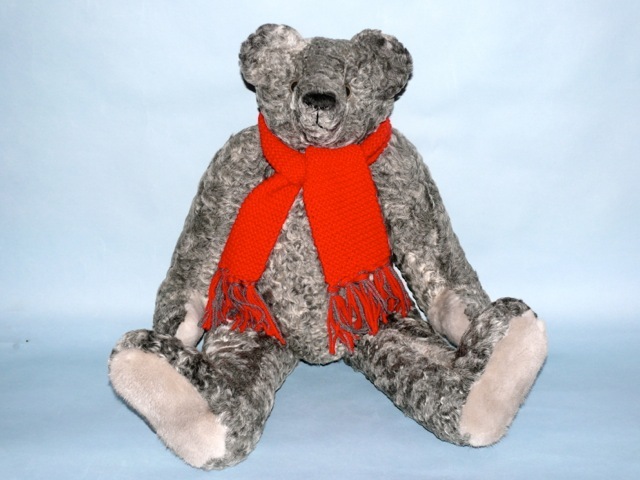 They’re cuddly, yes, but they are also large (24 inches) and are collectibles. The people who’ve been lucky enough to acquire one so far, are adults who bought them for themselves. Jessica will also make the bears to order, and owners who want to supply their own fur or faux fur coats for this are welcome to do so. The hooked rugs may also be ordered; same goes for Jean’s birdhouses. Next postNigella’s Christmas Pudding – Better Than My Sister’s? 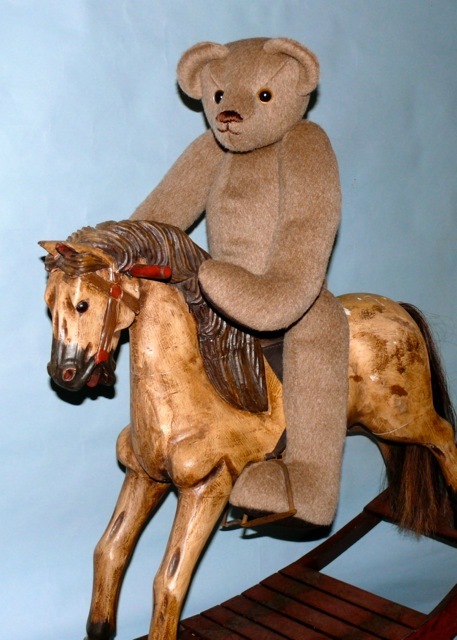 Cynthia, do you think Jessica was making these bears back in 1995? I was ‘gifted’ one by a friend who has since passed away. It was made from his grandmother’s mink coat and she bequeathed it to him when she died. He is very beautiful and looks similar to these. My friend was from the Toronto area so it could fit! I’ll find out. How fortunate you are to own one! It must be similarly well-made to Jessica’s, to last that long. And what a lovely way of recycling. Canada celebrates 150 years of confederation this year. 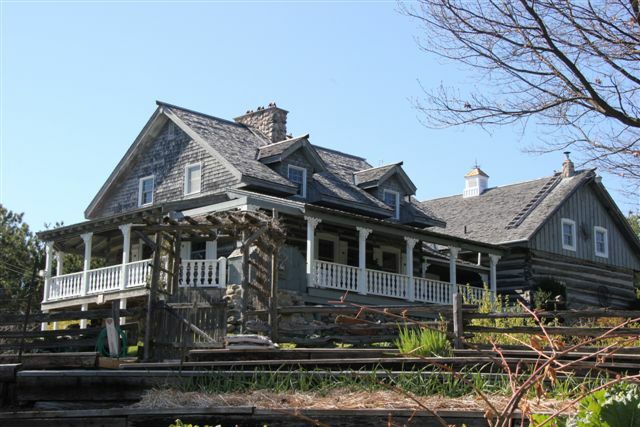 In honour of this milestone, let’s revisit the quintessential early Canadian home: the log house of two very creative people, Jessica and Jean. Cynthia, I’m so glad you reposted this and I got a chance to read it. I’m enraptured by Jean’s and Jessica’s life, their craft and lifestyle. 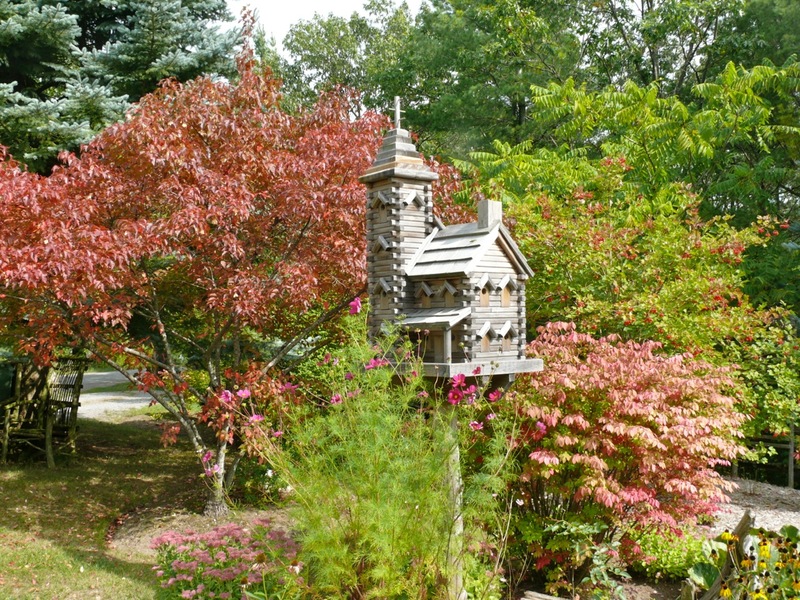 The birdhouse is a mansion for the birds with a wonderfully ornate design. The rugs are beautiful and so detailed and of course, I fell for the teddy bears…I think if I visited them you’d have to pull me away! Happy 150 year celebration to Canada!! I too am glad you re-posted this Cynthia! Such a talented and skillful couple and what a treasure-filled home. And their house! I would think I had died and gone to heaven if I owned a house that looked like that! I forgot to wish you and the rest of Canada a wonderful year of celebration after 150 years of confederacy! Love the bears! wish I had my mothers old mink stole to make one! I’d love to see the houses stitched together to see what they look like inside. What a brilliant idea and lucky they were so close together. How romantic! A house filled with creativity, it’s wonderful that Jessica and Jean find so many ways to be creative. What a wonderful visit you had to what looks like a beautiful property. Those bears are absolutely gorgeous and how creative of her to repurpose her old fur coats – such treasures! Recycling and repurposing are great habits to acquire and there are some lovely examples in your post. I’m looking forward to my next visit to Canada in May. Those hooked rugs are really cool! 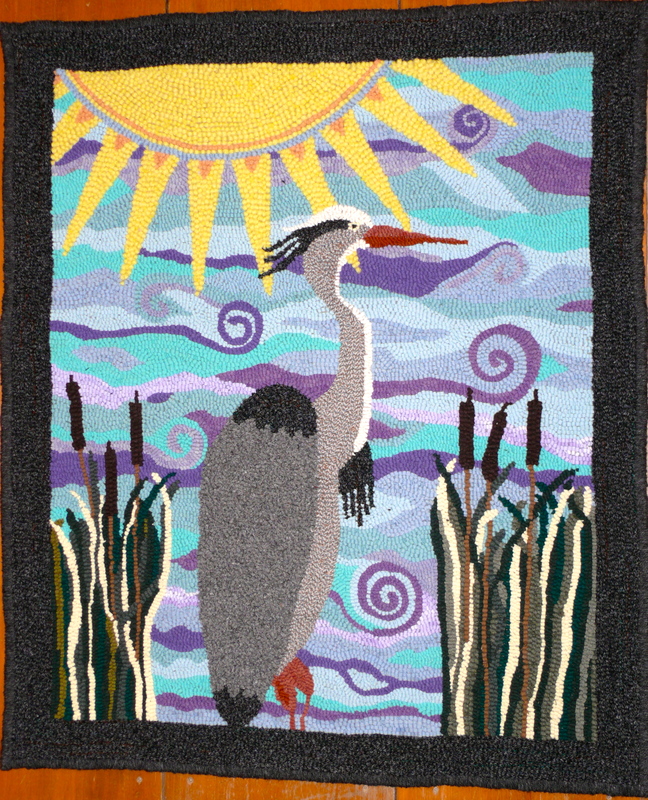 I love the Blue Heron one! Ahhh the envy I have for crafty talented people. Beautiful work, home and gardens. Hah. I hear you, sister Jo. I feel the same, but always decide to surrender to the beauty and the good food that Jessica cooks.